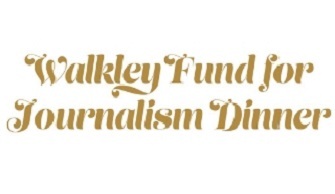 The funds raised at the Walkley Foundation’s inaugural dinner last year have helped the Foundation offer $50,000 in grants for Australian journalists. At this year’s dinner the Foundation will be announcing the successful applicants for those grants—and with your help, raising much more for an even brighter future. Join industry colleagues and show your support for journalism that makes a difference.